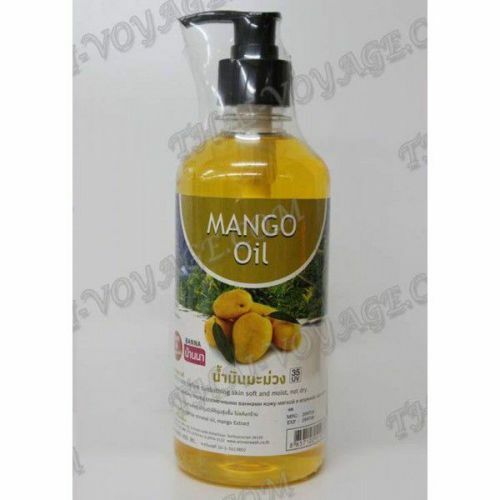 Mango oil is well-suited for protecting the skin. It contains a lot of beta-carotene, which plays the role of an antioxidant in the body and protect the skin cells from damaging environmental factors. For example, ultraviolet radiation. The aroma of mango make you feel relaxed. The oil is used to get rid of muscle pain, relieve tension and fatigue in the form of massage. Well suited for sensitive skin flaky. As a result of its use of the face and body become soft, velvety and moisturized. The oil contains antioxidants that prevent skin aging. Treats skin with sunburn. 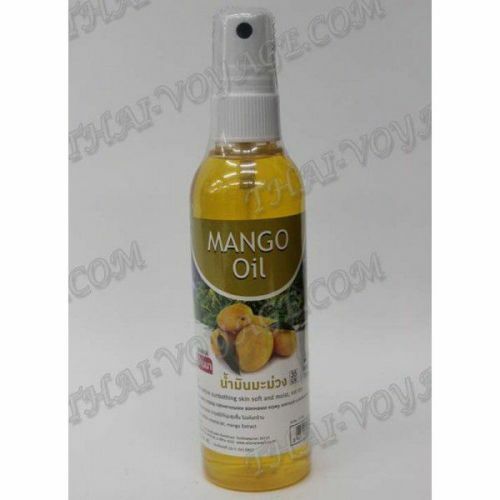 Mango extract - extract of mango. Application: used for sunbathing and after, massage, hair, to moisturize the skin after taking a shower. Apply oil to cleansed face and body, massaging gently until completely absorbed into the skin. Do not rinse. Contraindications: Do not use if you are allergic. Individual intolerance.